The beautiful and heartbreaking sculpture has touched, inspired and helped countless people over the past week or so. We know this because there are hundreds of thousands of comments, emails, messages and posts that say just that. Last week we posted a photo a sculpture – called Melancolie. It has now been seen by more than 23 million people and is on track to be one of the most popular posts on all of Facebook for the entire year. So, I suppose it’s not all that shocking that I’ve heard from the artist himself. Still, when I opened the message, I was floored. It shows the power of social media, sure – but really it shows the power of love. Melancolie was created by Albert György and can be found in Geneva, Switzerland; literally on the other side of the world from us. I shared contact information for György with many of the folks I’ve heard from, but never contacted him myself. It turns out – he has been overwhelmed with an enormous response to his beautiful art. He is touched and grateful to have helped so many. 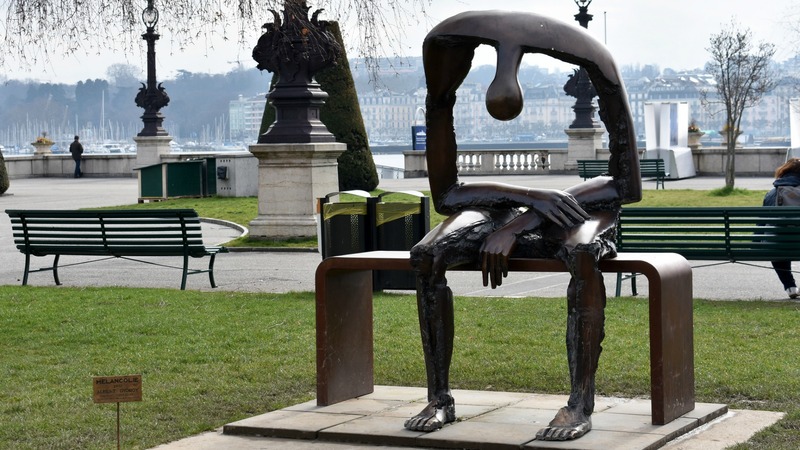 A few days ago, a person contacted me about my melancholy sculpture in Geneva and was kind enough to tell me the link for your blog. I became acquainted with it, with a great deal of emotion in noting the really large number of people my sculpture is talking about. I am infinitely grateful for your descriptions so just of the artist I am and really very moved to be able to bring as much comfort to all those human beings who suffer and need it. I received a lot of very touching emails and I immediately started answering. Meanwhile, given the number of emails, I do not have enough time to answer everyone in a personal way and I have to send a simplified message that will give an answer and a little comfort to my interlocutors. In the same missive I will give some information on the possibility of obtaining posters or replicas of the sculpture of different sizes. But first, I have to put myself to work to make these replicas and to publish a print of a good quality. I hope to be able to carry out this project again during the summer and I will keep you informed. I hope to keep in touch with you and thank you from the bottom of my heart. I can not begin to tell you how amazing it has been to simply be the link or middle man for so many who have seen the post and have been helped by it. I will update folks when I hear more from György about photos or replicas of this heartbreakingly beautiful statue. How would I obtain a replica of this, please. I would love to purchase a replica or print please keep me updated. I lost my son 1 month ago and this describes the feeling so accurately. I sit on my bed crying. My son passed away just a couple of months ago, and today would have been his 17th birthday. One request, and one suggestion. First the request, when and if you hear from the sculptor regarding prints or small replicas of his sculpture…please let me/us know. Second, see if you can collaborate with him to create a book with the stories, posts, etc. that are being left on Facebook and this website. As I read them…I cry out for them, and I realize I join with so many in both this sense of emptiness for the loss and gratitude for an image that captures what we can’t put into words. Thank you again. 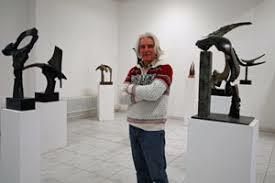 I am very interested in a sculpture. Please update when you receive notification. Have a blessed day. This powerful sculpture says what I have not had the words to explain how I have felt since my son died in 1992. If a pictures is worth a thousand words a sculpture is a thousand squared. So very sorry for your loss, Cindy. I can only echo what Cindy has said. Our son died in 2010 aged 22. This sculpture says everything about how we feel. We would also like a replica or quality print. 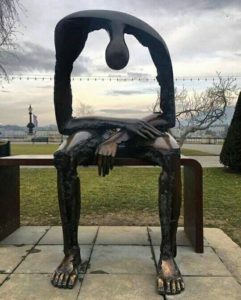 I found the sculpture of Melancolie one of the most meaningful peice of art that I have ever seen. Not only beautiful, it relates a story to many who have suffered from depression. Thank you for bring it to us. I would buy them in a “New York” minute, which is must faster than a Southern minute in the USA. !!! The artist has truly capture the pain that a parent feels after losing their child. When I go to work or with others I have to appear strong and functioning well. When I am home alone I have the strength exhibited in this beautiful sculpture. I feel broken, bent in half and unable to feel I can go on. It is magnificent. 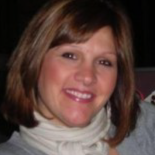 I lost my lovely daughter 7 years ago and will never be the same. I am just a good actor. How could we receive a copy, we lost our 15 yr old grandson to suicide 2 yrs ago , this sculpture could not show more of how your heart and soul feels after such a tragic loss. Life will never be the same you captured the essence that every one has to hide every day in order to have to move on in every day life. But the emptiness is still there and hides in our beloved daughters eyes always at the loss of her beautiful son. Thank you for your beautiful sculpture. My sister posted this picture and it broke my heart. My husband and I lost our 13 year old son 6 years ago, to an accident. We miss him everyday. This sculpture touched our heart like no other. Would be interested in having a smaller replica when and if you ever make them. Thank you for capturing what is in all parents grieving hearts. God bless you. I would love to get a print or small replica of this sculpture. We lossed our daughter 5 years ago and I think this depicts how I feel. This truly shows how we feel, emptiness in side, after our loss of my son 35 yrs old. Just in his prime of life just married and ready to fulfill his life with his new bride. I would love a small statue replica. I visit there in 1988, when was it done? I am interested in purchasing a replica sculpture. Please let me know when and if they become available. My oldest son, Andrew, passed away unexpectedly on October 16, 2017. The void seems unbearable at times. I would very much love a replica of this beautiful sculpture. Please let me know how to get 1 or 2. My son passed away June 5, 2017 it was very unexpected and it has been unbearable without him. Looking at your sculpture some how is comforting. I would very much appreciate info when it becomes available on purchasing a small copy or print. I, too, just lost my only child last month. This has touched me more than I can ever express.